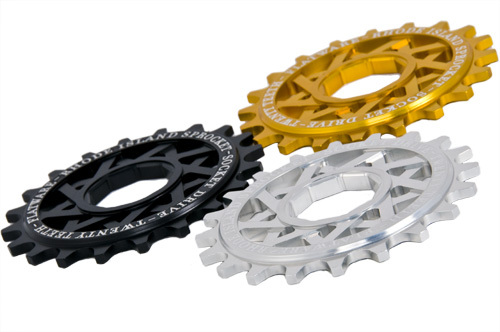 - Odyssey's latest sprocket from their new Flatware line. The sprocket uses a 9-sided socket drive interface that eliminates the need for a sprocket bolt. This innovative systems saves weight and allows for ultra-small sprocket sizes.